The Moycarkey-Borris Camogie and Ladies Football Club along with the players and mentors would sincerely like to thank Killian Dunphy of KD Surgical for so kindly sponsoring jerseys for the U12 team. Pictured below is Killian presenting the jersey to Aoife (Team Captain) and other team members. We were defeated by Moyne-Templetuohy on Sunday June 8th. We defeated Thurles Sarsfields on Friday June 6th. 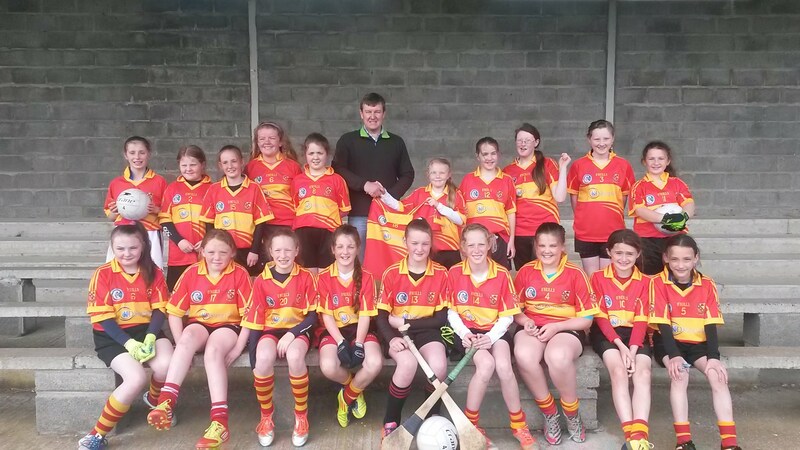 Our U13 Camogie team travelled to Puckane to play Kildangan on their home ground on Thursday June 5th. The girls played a great game and despite been 1 goal and 2 points behind at half time they made up for it in the second half and the result was a draw. The final score was Moycarkey 2-0 to Kildangan 1-3.